The CODieBOARD# support-center is your central database for all service requests in your fleet, and it updates all involved parties automatically. This help desk software handles any kind of support request by the vessels in a centralized database. This includes particulars, status, supplier/ service/ equipment information and history, and what has been arranged for so far. The maritime software also tracks all related activities and documents, like emails and letters to service companies. It will inform the support team about used and available budgets. In parallel, a knowledge database is built up automatically. This knowledge base is extremely useful and will save a lot of time when similar support requests arrive. See how our support-center can help you! Ships are operated on a 24/7 basis, 365 days a year. Due to the nature of this business, a lot of things require support by the shore office – e.g. arrangement of the latest sea charts, surveys, and annual performance tests. Furthermore, visits from technicians and service companies, organizing and tracking, the forwarding of technical supplier bulletins to the vessels, and many more tasks need to be done on time. The CODieBOARD# support-center enables you to lead teams involved in operating service requests of vessels. You gain easy overview of all open support cases, can track cost and identify recurring issues. The possibility to analyze and create reports is crucial for reducing process time and to avoid downtime. The aim of this software is to provide a platform from which every request can be fully handled. This includes writing emails, managing files and involving other departments with a case. The maritime software also tracks all related activities and documents, like emails and letters to service companies. It will inform the support team about used and available budgets. A knowledge database is built up automatically. This knowledge base is extremely useful and will save a lot of time when similar support requests arrive. Vessel Request Handling was never Easier! Facilitate good teamwork with our support-center for your office! Technical information is harmonized and made available to all involved parties. Service requests and repairs are stored and worked on in a central place. A knowledge database will be built up while the system is in use. A centralized repository will store detailed and summarized records. You can drill down reports and view results in a variety of ways. Digital photo and file storage is available for each report. Reports are designed to meet the exact requirements of shipping companies. 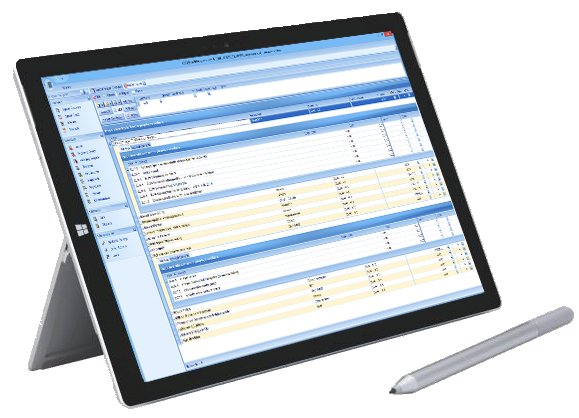 Export functions provide the output of report data to standardized formats like PDF and XLS. The online 24/7 real-time reporting provides up-to-date information. CODie is Germany's second biggest vendor of ship and crew management solutions. Our planned maintenance management is in use on-board 350 vessels and we have served the maritime community for over 20 years. We are CODie software products e.K. - We are a family-owned business, operating worldwide, but founded close to Berlin, Germany. Our founder and owner Dipl. Inf. Andreas Bargfried has managed the two company divisions since 1990: maritime and financial software. Owner of CODie Andreas Bargfried How can I help you?